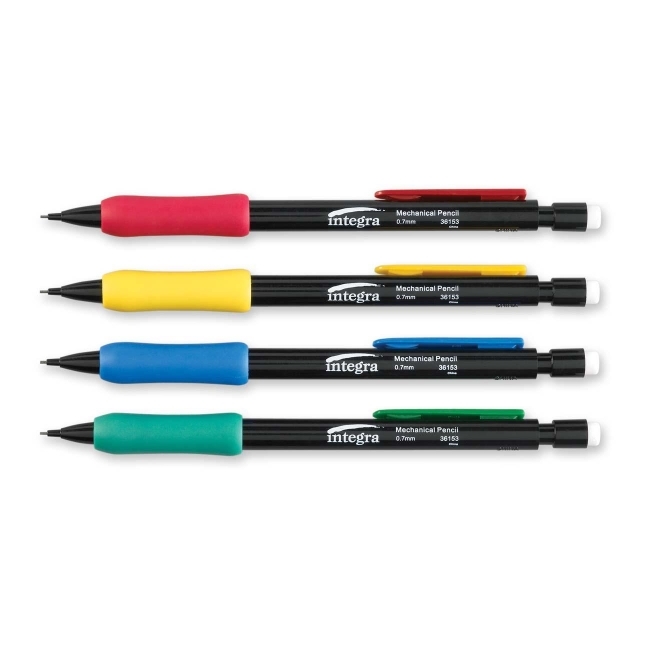 Grip Mechanical Pencils offer pocket clips in assorted colors (three each in red, yellow, blue and green) and a black barrel. Design features a rubber grip and latex-free eraser. Each pencil includes three full-length leads. Refillable with standard lead.